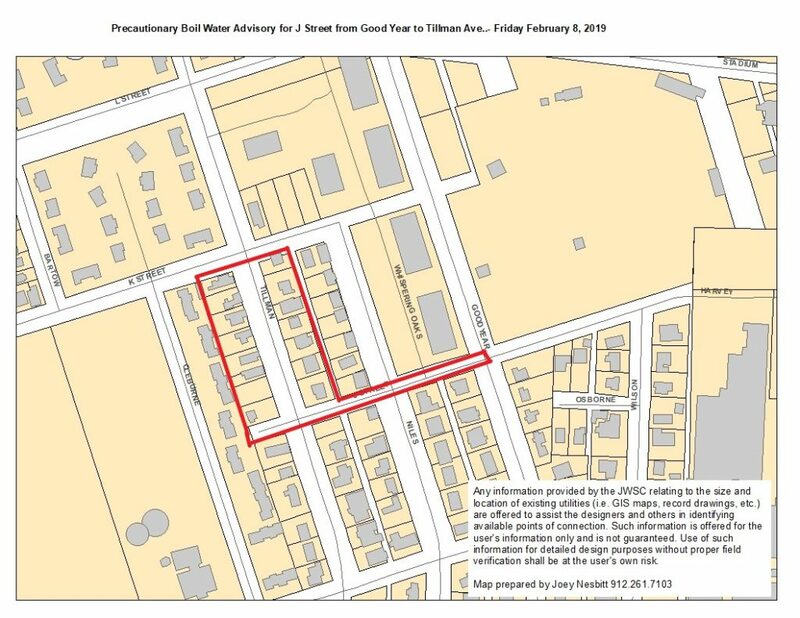 In order to complete a loop system for a water main on J street in Brunswick, water service will be intermittent from 9:00 a.m. until 4:00 p.m. on Thursday, February 7, 2019 from Good Year to Tillman Avenue, including the 2000 block of Tillman. Homeowner access will be maintained and efforts will be made to maintain traffic flow throughout the neighborhood. Following the repair process on Thursday, a precautionary boil water advisory will be issued once full service has been restored. This advisory will extend until 18 to 24 hours following the last point of repair, with the all-clear tentatively expected for Friday afternoon. This entry was posted in General News, Service Outages on February 5, 2019 by Joey Nesbitt.